Lemberger Podiatry (Freehold) - Book Appointment Online! We offer treatment for bunions, hammertoes, diabetic foot ulcers, heel pain, toenail fungus, toe problems, foot injuries, ankle pain, feet hyper perspiration, feet sensitivity, feet deformities, feet mal-alignment, feet mal odor, fungus infection of the feet and much more. Foot and Ankle Surgery in many cases can be performed at a same day outpatient surgical center setting requiring no hospitalization. We accept most insurances. Im a patient for 16 years. I was recommended by a doctor! 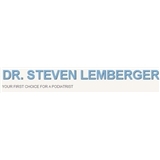 DR. Lemberger is an excellent podiatrist and His staff handles calls and appointments very efficiently. Everyone I have recommended agrees with me! He is AWESOME!